CWC completed its 12th Jumping for a Purpose event on October 13th. 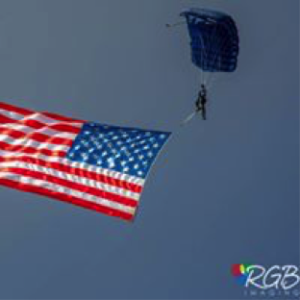 After a hurricane scare threatened to cancel the entire event, we were extremely fortunate to share incredible jump weather with a great group of 25 wounded warriors and Gold Star family members, as well as their families and caregivers. The morning began with a celebration of life memorial for Navy Master Explosive Disposal Technician, Ron Condrey. Ron was a registered CWC warrior, tandem jump instructor for many of our past Jump events and a close friend of everyone at CWC. Ron passed away in September, a few days before he was to participate in our Overcome Academy Class 002. 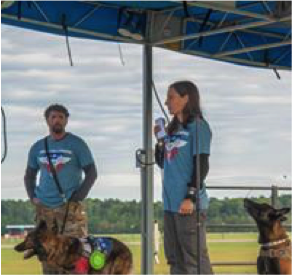 His life was honored by Navy teammates, fellow skydiving enthusiasts, representatives from other nonprofit organizations, the care managers from his time recovering from combat-related injuries, close friends and his spouse, Nicole Condrey. Nicole is also an avid and accomplished skydiver. Jay, Nicole and another close friend, Jimmy Hatch, all gave moving and impactful stories about Ron while also passing a message to the crowd about the unseen mental injuries that our nation’s warriors struggle with. The message was clear: reach out to someone, if you are having a difficult time adjusting and coping. Dark times are temporary but taking one’s life is final. The service was completed by Nicole jumping and releasing some of Ron’s ashes during her jump. Ron was always happy and most alive in the sky and this was a tribute to that love of skydiving. We had some firsts during this event. Technician Fourth Grade Norwood Thomas joined us for this Jump. He happened to be celebrating his 96th birthday the day of the event. Norwood was a member of the 101st Airborne during WWII. He was part of the D-Day invasion in Normandy and received his Purple Heart during the Battle of the Bulge. We were truly honored to have this member of the Greatest Generation join us. 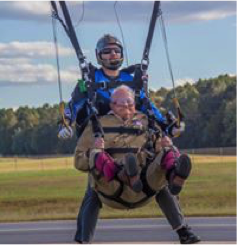 He became the oldest skydiver to participate in Jumping for a Purpose, as well as the oldest individual to jump at Skydive Suffolk’s facility. Our group also included the nine graduates from our second Overcome Academy Course. The students graduated at a ceremony on Friday evening and celebrated the culmination of two intensive weeks of instruction by taking that step out of a perfectly good airplane at 12,500 feet. We had several of our partner organizations participate in our non-profit resource fair, providing information to both veterans, as well as the general public. The DAV even came prepared with the ability to begin opening VA disability claims for veterans that sat down at their table. 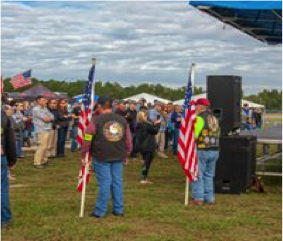 Another partner, Veterans and Athletes United brought their memorial flag wall to the event. 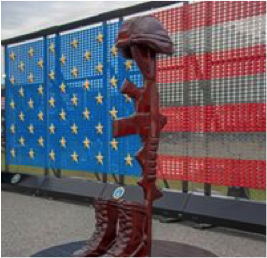 This flag wall is comprised of colored dog tags for all personnel that have been lost over the last 17 years during the Global War on Terrorism. It was moving to see many of our guests search and find battle buddies they lost. This is always a grim reminder that freedom isn’t free. CWC would like to thank GEICO Military as our presenting sponsor for the event, as well as all the other sponsors and donors that made our fall Jumping for a Purpose possible. We could not offer this empowering event to our nation’s wounded warriors if it were not for all their generosity and patriotism.